In the Epistle of James, we read: “Is any sick among you? let him call for the elders of the church; and let them pray over him, anointing him with oil in the name of the Lord” (James 5:14). In The Church of Jesus Christ of Latter-day Saints, we use pure olive oil to anoint and bless the sick. This function is performed by males who hold the Melchizedek Priesthood. One or more Melchizedek Priesthood holders may consecrate pure olive oil and set it apart for the purpose of anointing the sick. No other oil may be used. Holds an open container of olive oil. Consecrates the oil for the blessing and anointing of the sick. After oil is consecrated, it can be used at any point in the future for the anointing and blessing of the sick. Administering to the sick is also performed by Melchizedek Priesthood holders. Usually two bearers of the Melchizedek priesthood perform the ordinance. One will anoint the head of the sick person with the consecrated oil. The other will then seal the anointing and give a blessing. Again, the LDS Church website contains instructions on how this is done. Puts a small amount of oil on the person’s head. Places his hands on the person’s head and calls the person by name. States that he is anointing with consecrated oil. Calls the sick person by name. Pronounces a priesthood blessing as the Spirit directs. There is a woman in our ward whose husband died a few months ago, leaving behind his wife and two young daughters. The family had additional changes in circumstances after the death of the father that necessitated a move to another state. Unfortunately, the only day on which they could move was a Sunday and not just any Sunday, but Father’s Day. I will always remember the first counselor in our bishopric standing up in priesthood meeting and saying that there was nothing better we could be doing on Father’s Day than helping a family who has just lost their father. These inspired words touched the hearts of the men in our ward. The evening of Father’s Day found 21 of us at the home of this dear family who were still grieving for their father. There were so many of us that we formed an assembly line and routed boxes and furniture out of the house and into the truck, filling the moving truck in less than a half hour. I pray that the Lord will bless and comfort this family. Elijah was the last prophet to hold the sealing power of the Melchizedek Priesthood, the power to bind in heaven ordinances performed on earth, before the time of Jesus Christ. Elijah came to the Mount of Transfiguration to confer the sealing power upon Peter, James, and John. In order to do so, he needed his physical body, since spirits cannot lay hands on mortal beings (See Doctrine and Covenants 129:8). It’s interesting to note that Elijah also came to earth to confer this same sealing power to Joseph Smith and Oliver Cowdery on April 3, 1836 (See Doctrine and Covenants 110:13-16). At this time, however, he came as a resurrected being, since he was with Christ in his resurrection (See Doctrine and Covenants 133:55). What is the difference between a sin and a transgression? To sin is to do something contrary to the will of the Lord. It is to be willfully disobedient. Transgression, on the other hand, is the violation of a law or rule that may or may not be against the will of the Lord. Thus, all sins are transgressions but not all transgressions are sins. Sin is breaking a law with knowledge that a law is being broken. Adam didn’t have knowledge of good and evil before partaking of the forbidden fruit, so his act was a transgression of the law, not a sin against the law. The first mention of sin in the Bible is in regards to Cain. Adam and Eve’s partaking of the forbidden fruit is referred to as transgression. What is the New and Everlasting Covenant? The new and everlasting covenant is the fullness of the gospel of Jesus Christ. The covenant is everlasting because it is always the same. God’s plan does not change. The covenant is new because it has been revealed many times following periods of apostasy on the earth. Each time it is revealed it is, in effect, newly on the earth again. All covenants between God and man are part of the new and everlasting covenant. Many people in the LDS church mistakenly think that marriage is the new and everlasting covenant when, in reality, it is a new and an everlasting covenant. (See Doctrine and Covenants 132:4.) Covenants made at baptism, when taking the sacrament, and in the temple are also examples of individual covenants. 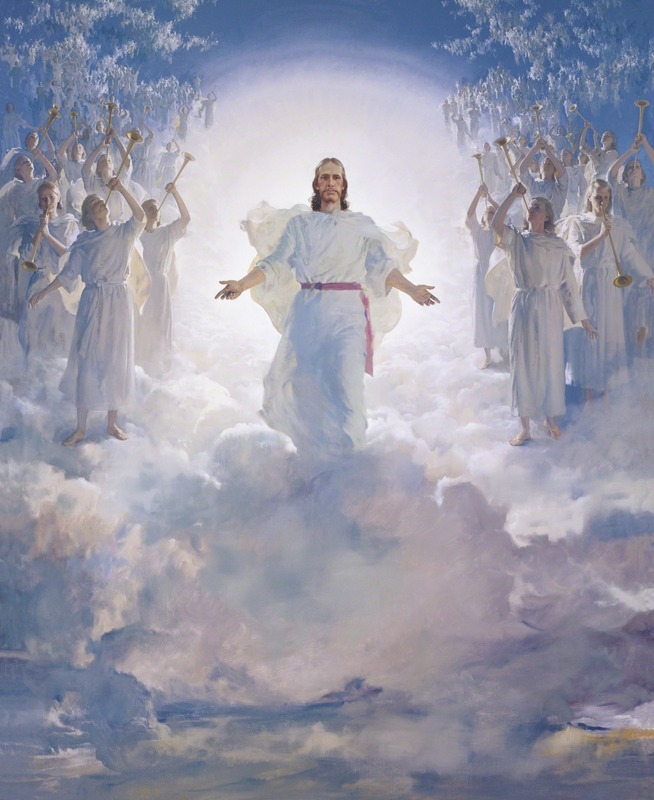 In a revelation received by Joseph Smith in 1831, God declared that the fullness of the gospel of Jesus Christ is the new and everlasting covenant. When Christ died, all the righteous dead who had lived and died up to that point were resurrected. At the beginning of the millennium, all righteous people who have lived since Christ was resurrected will be resurrected. This is the morning of the first resurrection. The afternoon of the first resurrection is when all people who were good but not worthy enough to receive a full inheritance in the kingdom of God will be resurrected. The second resurrection is when the wicked will be resurrected. This happens at the end of the millennium. The resurrection of damnation is the resurrection of those who gained a perfect knowledge of Jesus Christ through the Holy Ghost and then denied it, chose Satan, and came out in rebellion against Christ.